"Merida exemplifies what it means to be a Disney Princess through being brave, passionate, and confident and she remains the same strong and determined Merida from the movie whose inner qualities have inspired moms and daughters around the world." While I was not bothered by the makeover at first, the very idea that Disney would present a character in a way that goes against the values of what that character is about from her very own movie (Disney's movie) is extremely disappointing. 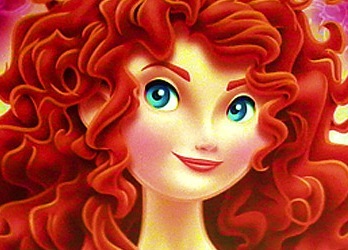 Merida might not be your favorite character, but if this kind of thing happens now - it will happen again. All of the Disney Princesses have gone through a makeover, to have fuller hair and new gowns. Some people feel it is overkill, some don't mind the change, but everyone was left wondering why there was a need by Disney to make a princess even prettier. 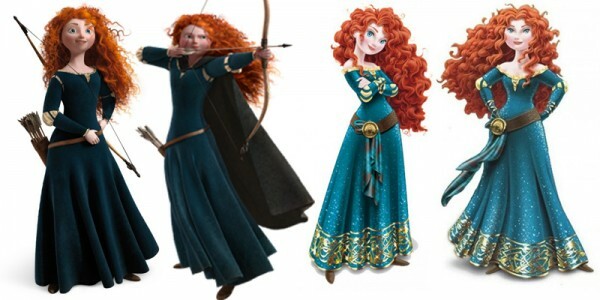 If you don't agree with Disney's redesign of the Merida character and want to make a change, please CLICK HERE to view and sign the petition, which is rapidly nearing it's signatures goal.